With our expertise and trustworthiness, we are engaged in offering an optimum quality range of Submersible Motor Stampings. Our range of premier quality & sturdy submersible motor stampings are widely used in submersible motors. 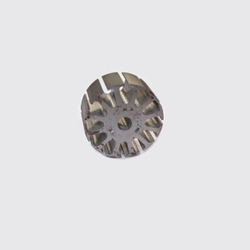 These stampings for submersible motors are manufactured using superior class steel and metals. With varying dimensional specifications to meet varied industrial requirements, we also offer customization to our entire submersible motors stampings. We offer Electrical Stampings For Submersible Pumps. we are offering best quality of Electrical Stampings For V-8" Submersible Bore well And Open well. In order to meet excellent quality standards, we are supplying Submersible Motor Stamping. With a focus on the ever-evolving demands of our customers, we have come up with a wide range of uniquely designed Submersible Motor Stamping. 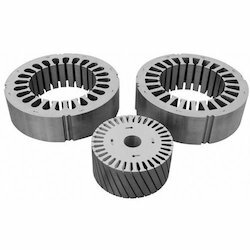 In order to cater to the special requirements of our clients, we bring forth high quality Submersible Motor Stampings. This product is used in submersible pumps and motors owing to its high operational accuracy.